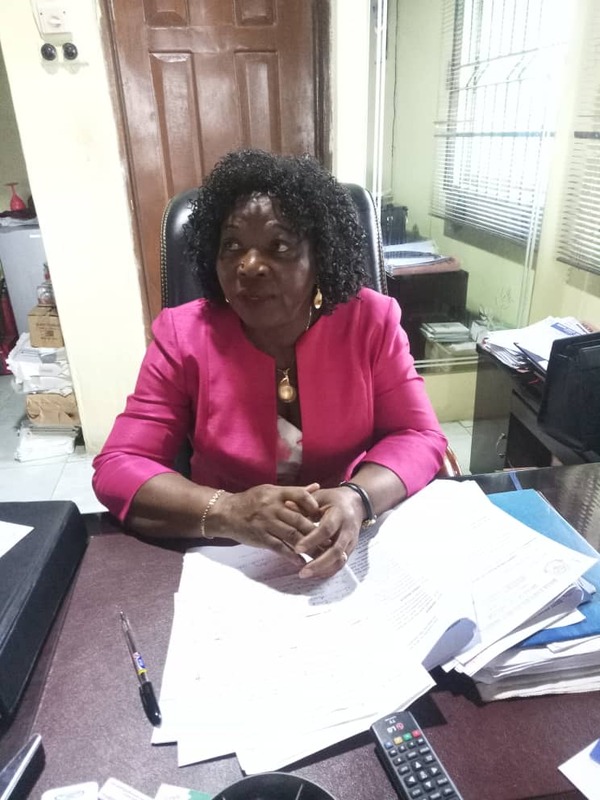 Prof. Mrs.Roseline Oro Aziza, currently the Deputy Vice Chancellor (Administration, Delta State University, Abraka, started both the B.A Linguistics and B.A Linguistics/Urhobo programmes in Delta State University. 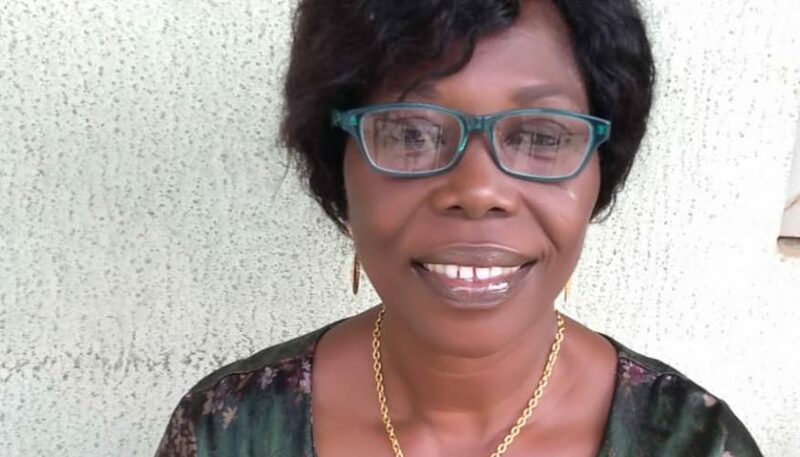 As President of Urhobo Studies Association, She was pivotal to designing the curriculum for the teaching of Urhobo at the basic level in schools in Delta State. She is married to Mr.Moses Aziza, and the union is blessed with three wonderful children. In this interview with Omamuzo Efidhere, she speaks on her love for education and undying commitment to the development of Urhobo language. I am Professor Mrs. Roseline Oro Aziza, currently the Deputy Vice Chancellor (Administration), Delta State University, Abraka. I assumed this position in March 2015. I have spent more than three and half years in this position and it is a position that is held for two years at a time subject to a maximum of two terms making a total of four years. I have successfully gone through the first term and I am on the second term. My maiden name is Roseline Olomukoro. My father, Mr. James Efe Olomukoro is from Ophori- Agbarho and my mother, Mrs. Margaret Olomukoro is from Okpara Inland. Her maiden name is Margaret Odibo. My dad is late now but my mother is still alive. I am married to an Okpe man, Mr. Moses Aziza who is from Adagbrassa-Ugolo. I have three kids by the grace of God. I hold a Bachelor of Arts degree in English with a second class upper division from the then University of Ife. I did not go to O.A.U. I went to the University of Ife and from there I went to the University of Ibadan to study for an M.A in Linguistics. After that, I went to the University of Benin to do a Postgraduate Diploma in Education and went back later to University of Ibadan for a Ph.D in Linguistics. My area of specialization is Phonology. Here we look at the spoken language. Language is basically spoken, so when you write a language, you are trying to put down on paper what you have spoken. So my specialization is phonology, that is, how people speak, how language works, how people perceive language. I was a lecturer briefly at the College of Education, Port- Harcourt (now Rivers State University of Education). That was just after my Youth Service. I left there for the University of Ibadan for my Master’s degree. I got married and relocated to Warri. My husband got a job with the Delta Steel Company (DSC), Ovwian Aladja and worked there until he retired. I taught briefly at Urhobo College, Effurun for a year and half, then after that I went to the College of Education, Warri where I spent the next fifteen years. I actually got my Ph.D. while I was still at the College of Education, Warri. There I held positions of Head of Department, Dean of School twice and member of the Governing Council for about six years. After my Ph.D, the Senate of Delta State University was desirous of promoting the languages in Delta State. The then Vice Chancellor, Professor Uvie Igun sent someone to me to discuss my moving to Abraka; eventually that discussion materialized and in November, 1999, I came to Abraka to begin work as a Senior Lecturer in the Department of Languages and Linguistics. The department used to be known as the Department of Modern European Languages until it was expanded to accommodate the study of Linguistics and Delta languages. The University saw the need to study the languages of the Delta people. I fitted in because I had a Ph.D in Linguistics and my area of focus was on Urhobo Phonology. In the year 2000, I became the Head of the department. Initially, I felt agitated because of where I was coming from. Yes, I had been Head of Department and two-time Dean at the College of Education but you know, this was like a big river; but thank God for friends and family. My husband was very instrumental to building up confidence in myself. Under my headship, we started the B.A. Linguistics degree programme in 2000; before you can attach a language to Linguistics, the main Linguistics programme must be in place. Then, in 2001, we started the B.A. Linguistics/Urhobo programme. The idea really was that we needed to study the languages spoken in Delta State. I told you earlier that I was at the College of Education, Warri and I started off as a lecturer in the English Department. In 1990, we had a Provost, the late Professor Nolue Emenanjo, an internationally renowned linguist under whose tenure the teaching of Nigerian languages was established as a programme. Another thing that helped the languages at that time was the fact that the Bendel State government was also interested in the use of indigenous languages in education. I was part of the team that designed the NCE programme for the teaching of Nigerian languages at the three Colleges of Education in the then Bendel State. Twelve Bendel State languages and the three major Nigerian languages were zoned to the three Colleges. Each College taught four Bendel state languages and one major language. We in Warri were made to run programmes in Urhobo, Isoko, Izon and Itsekiri with Yoruba as the major language. Hausa was zoned to Ekiadolor while Igbo was zoned to Agbor together with four Bendel languages each. The Senate of this university was interested in developing the local languages spoken in Delta State. So it was easy for Urhobo to start off for two major reasons: it is the language of the locality, and I was here, somebody with a PhD in Linguistics who had studied Urhobo to the Ph.D level. Now when we say we are linguists, it does not necessarily mean that we can speak many languages but we are equipped with the knowledge of how language works. We can select a language and be able to describe it at different levels even without being able to speak it as a native speaker. That is why you could find Europeans coming to Africa to study our languages. Yes, once you are familiar with the science of how language works, you can handle any language. HOW MANY PIONEER STUDENTS DID THE DEPARTMENT HAVE IN 2001? Unfortunately, the very first session, 2001/2002, we gave admission to twenty candidates but not one showed up but the following year, 2002/2003, by the grace of God, we admitted our first set of twelve students. I was Head of Department for five years (May 2000 to February 2005) so I started both the B.A. Linguistics and B.A. Linguistics/Urhobo programmes. Then, finding lecturers to teach both programmes was a very big challenge but fortunately, our colleagues from other programmes like French and especially the Department of English and Literary Studies came to the rescue and helped us out. There were lecturers in Language, Literature, Cultural Studies, Translation, etc. some of whom were also native speakers of Urhobo who could apply their training to teaching courses for us. So it was fairly easy to start the Urhobo programme. However, we could not do that with the other languages. At a time we had up to forty students admitted into the Linguistics/Urhobo option in one single year. One big challenge that we have experienced from inception is that most of our students come into the Urhobo programme as a last resort, having failed to gain admission into their preferred courses of study, so they do not show the level of interest required for serious academic work. Secondly, many also come with the mindset that since they have ‘humbled’ themselves to come into the programme, we should just be giving them A and B grades even when they have not written anything concrete in their examination scripts. It normally takes some of them time to realize that they have to work hard to earn the A’s and B’s. As at now we have turned out thirteen sets with a total number of 143 graduands made up of one First Class, 15 Second Class (Upper), very many Second Class (Lower) and few with Third Class and Pass degrees. There are also many who couldn’t cope and had to leave the programme even though they are Urhobo people by birth. Many come to us without the ability to speak, read and write Urhobo and with no interest to learn. Most of those admitted to study French come without any knowledge of French but because of interest, they are able to make great strides within a short time. Funny enough, some of our students who have done quite well in Urhobo are native speakers of Igbo, Edo and Yoruba. I still teach courses in the department even though right now I am Deputy Vice Chancellor. The department is still my primary constituency. HOW DID YOUR PASSION FOR EDUCATION START? Well, my father, Mr. James Olomukoro, was my first inspiration. 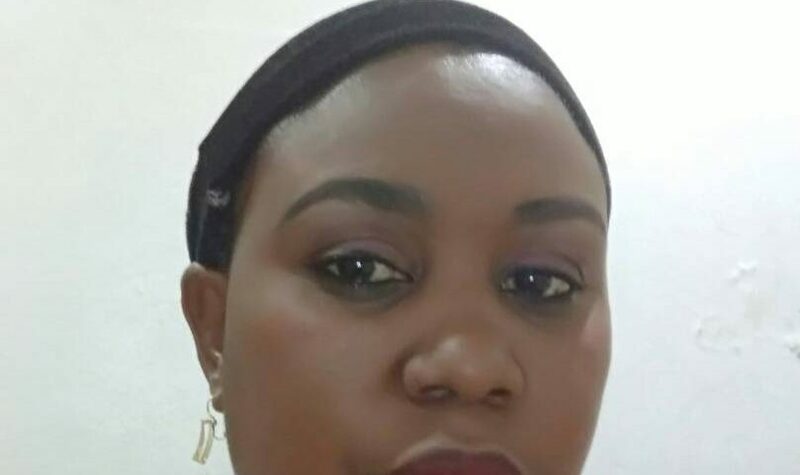 I am over sixty years old now so you can guess that I grew up at a time when the girl child education was considered a waste of time and resources. However, since my father was literate, he knew the value of education and encouraged me to do well in school. As a child in the primary school, my father was my lesson teacher; after going about his business in the day time, he came back and supervised my school work. As the first child that he actually raised, he set a very high standard for me such that during our lesson time whenever he read a passage, I had to read it exactly as he read it otherwise I received some strokes of the cane. So, whereas I could play, I also knew that if I didn’t meet up with my father’s standard, he had a very long cane to punish defaulters and I would rather read than to be flogged. I also had uncles and older cousins who were very encouraging. They were very supportive throughout till after my first degree. You know it is easy to motivate children. I got married after my Masters degree and thereafter my husband, Mr. Moses Aziza, took over with the inspiration and I tell you, he has been exceptional in getting me to where I am today. At the time I started my Ph.D, I had four little children aged between 2 and 5 years who could neither bathe nor feed themselves well. We were in Warri and I had to go to Ibadan for my studies with no reliable househelp. My husband would bathe the children, feed them, take them to school, pick them up after school, wash their clothes and do all the other chores in order to ensure I went ahead with my studies. He was a very big motivator and I owe him a lot of gratitude. COMING BACK TO THOSE WHO HAVE INSPIRED YOU WAS YOUR DAD EDUCATED? Yes, he had a secondary school education. He attended Ondo Boys High School in the 1940’s. He had a picture of himself with his classmates which he used to proudly show me. There were eighteen boys and one girl in that picture and he always told me that I had to be smart and intelligent like her. He told me she proceeded to the university after her secondary education and wanted me to also go to the university too. In fact, he wanted all his children to have university education. Because, by the grace of God I was brilliant, my father was very protective of me and would not allow anyone, including my Mum, treat me anyhow because he knew I would bring home a good result at the end of the term. However, the story did not continue so sweetly. My father allowed himself to be manipulated and, suddenly, in my Primary 6, he made a U-turn, he was no longer interested in female education. He had been convinced by some of his friends that if I went to secondary school, I would get married thereafter and change my name and nobody would know that he had invested in me. But, as God would have it, there was my mother. I do not know what I would have done or where I would have been without her. She did not go to school, but she had always loved education, especially the girl-child education. She always made it a point of duty to check my books everyday as I came home from school. So when my father brought up the idea that I should go and train as an auxiliary nurse and get married, my mother put her feet down. ‘No, she will go to school. Besides, she is too young for what you are planning for her. She will go to school so that she can help me look after the younger ones coming behind her’. This led to an argument. She told a gathering, because there was a gathering of family members and neighbours to resolve the issue of my going to secondary school. That gathering, I can never forget it. In the end, with the support of my uncles, she won but with the proviso that she would pay a part of my school fees while he paid the other part. She agreed. She was running a restaurant at the time. I owe her immeasurable gratitude. I even had to move out of my parents’ house to start living with my uncle, Mr. Edward Olomukoro who was a senior civil servant at the time. He provided me a new home and supported my education. I also owe him a world of gratitude. WHAT QUALIFICATION DOES YOUR HUSBAND HAVE TO HAVE SUPPORTED YOU THIS FAR? My husband has a B.Sc. in Business Administration and a Master’s in Business Management, both degrees from Virginia in the USA and he worked and retired from DSC. When I started my Ph.D programme, in the DSC community, I am a witness to the fact that some people thought he was crazy, saying ‘Your wife is going to become a Doctor and you will continue to be a Mister, what kind of madness is this? It should be the other way round’. He would tell them ‘I do not need a doctorate degree in my place of work but she needs it to make progress in her place of work, so she can go’. He made a lot of sacrifices to see me succeed. Today, we are both enjoying the benefits. I am very grateful to him. 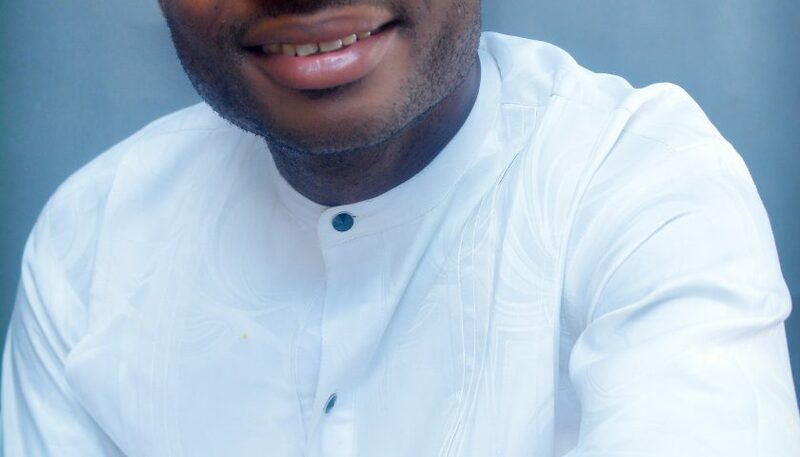 HOW WAS URHOBO STUDIES ASSOCIATION FORMED? The plan was first muted in 2004 but it did not take off until 2005. We had a couple of Professors on sabbatical with us here in DELSU, Professors Agwonorobor Eruvbetine and Hope Eghagha from the University of Lagos, Tanure Ojaide from the University of North Carolia, USA, and G. G. Darah was already here with us. They were all in the Department of English and Literary Studies but helping to teach courses in the Urhobo programme. So, the Urhobo Studies Association was formed mainly by lecturers in the Departments of English and Literary Studies and Languages and Linguistics who were involved in the teaching of Urhobo together with our students. HOW LONG HAVE YOU BEEN A PRESIDENT OF THE ASSOCIATION? Well, I was appointed the Convener of the USA from inception because of my area of specialization. Some 3 years ago, I was elected President, although I am still more comfortable with being regarded as the Convener because it is not a social organization. DOES THE ASSOCIATION HAVE ANY MAJOR EVENT? USA has projects, not events. Our first major project was to design the curriculum for the teaching of Urhobo at the basic level, i.e. Primary 1-6 and JSS 1-3 in schools in Delta State. A standardized curriculum is compulsory in order to achieve focused teaching/learning. What we did was to go to the National Educational Research and Developmental Council (NERDC) in Abuja. That is the body set up by the Federal Government of Nigeria to design curricula for use in schools. They have a language unit. When we got there, since there was no curriculum for Urhobo, we took the curriculum for Yoruba, got it translated into English to serve as a guide to design our own curriculum. The project took about 5 years to complete. It involved a total of four workshops directed by officials of the NERDC but sponsored by the USA from funds raised by members and donations from some good people who believed in the project. The NERDC officials came from time to time assess our work and such visits, together with the workshops, cost quite some money which we could not afford on our own so we had to appeal for donations. We got donations from the Local Government Chairmen at the time, the late Senator Ewherido, Professor Nyerhovwo Tonukari and a host of others. Professor G. G. Darah was very instrumental to raising funds and giving the push. The long and short of it is that, by the grace of God, December of 2015, it had successfully gone through all the processes and approved by the Federal Government for the teaching of Urhobo. This is why the Urhobo curriculum has the stamp of the Federal Government on it and is published by the NERDC. However, getting the approval of the Delta State government for its use in schools became another big issue but fortunately, last year, 2017, through the efforts of the Urhobo Progress Union (UPU) and a number of Urhobo associations, the Executive Governor, Senator Dr. Ifeanyi Okowa graciously approved it for use in schools in Delta Central Senatorial District. Our next project is to proceed to the secondary level and I am sure that by the end of the year, that vision will be on the front burner. WHAT IS THE VISION AND MISSION OF URHOBO STUDIES ASSOCIATION FOR THE URHOBO LANGUAGE? No language can develop without a standard and sustained written version. If a Language exists mainly in its spoken form, it is easy for it to die. So our mission is to develop and create an avenue for the systematic development of the Urhobo language. Looking at this curriculum that we produced, we find topics on the language structure, the literature, and the culture; in fact, all that is native to Urhobo. This means that people will need to write and produce texts in Urhobo for teaching and by so doing, they are documenting the language in all of these areas. So our projection is that eventually books will be written in Urhobo that will be used to teach Mathematics, Agricultural Science, Science, Social Studies, etc. My maiden name is Roseline Olomukoro. My father is from Ophori Agbarho and my mother is from Okpara Inland; her maiden name is Margaret Odibo. My dad is late; he died in 1985 but my mother is still alive. I am married to an Okpe man who is from Adagbrassa Ugolo. I have three kids by the grace of God. HOW CAN CHILDREN CONNECT TO THEIR ROOTS AND SPEAK THEIR LANGUAGE? Parents need to start speaking their native language to their children even while they are still in the womb and continue from as soon as they are born. Make your language the home language, not English or Pidgin. Start speaking your language to them because they will pick up English, Pidgin English and any other language they are exposed to easily. That language that is spoken in the home is vital to their overall development and speeds up the process of them connecting with their roots. I grew up in Benin. I was born and raised in Benin but my father always insisted that we spoke Urhobo at home. My siblings and I can speak Edo because we picked that from the community but we can all also speak Urhobo although at different levels of fluency. WHAT ARE SOME OF THE CHALLENGES YOU ENCOUNTER AS A WOMAN IN AUTHORITY? Generally, headship in any establishment is in the domain of “a man’s world” so, as a woman, you are bound to face more challenges than a man. There are roles that I cannot run from. Even if I become the Vice Chancellor or Head of State tomorrow, I am still a woman. I will still have to think about what goes on in my home. I will have to seek the co-operation of my spouse and that is the key.